Attention in Vision is an important work which aims to identify, address and solve some major problems and issues in the psychology of visual perception, attention and intentional control. The central aim is to investigate how people use their visual perception in the performance of tasks and to explore how the intentional control of action is achieved. Through an extensive review of the philosophy of psychology, the history of ideas and theories of intentional control, and an analysis of various tasks, a new theory is developed which argues that there is an important difference between report tasks and act tasks. 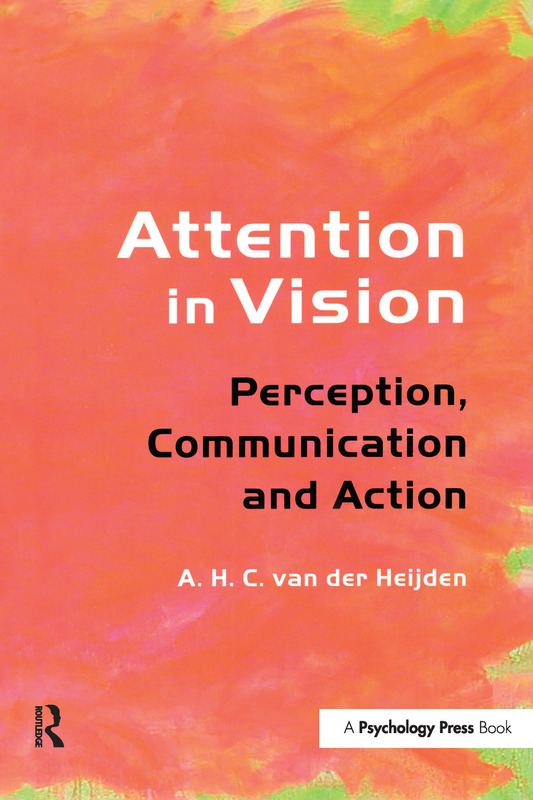 The first section of the book introduces the issues of visual perception in a historical context and outlines van der Heijden's theory. The theory is developed in the second and third sections by analysing the findings from some of the main experimental paradigms of cognitive psychology and applying the theory to act tasks. Finally, the epilogue skilfully draws together the theory into an explanation of different historical and theoretical perspectives in psychology. This book will be invaluable to researchers and high-level undergraduates in the field of visual perception and attention.